Build Your Very Own Earth Bucket with KIN! JOIN KIN at the Midtown Farmers Market on May 12. 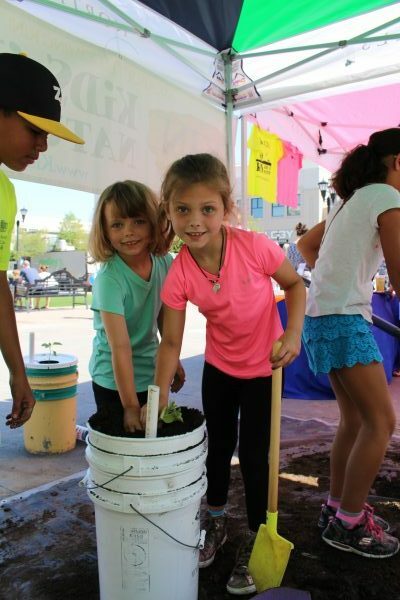 Kids can create, decorate, and plant a tomato seedling in an Earth Bucket to take home! Earth Buckets are self-watering, foolproof, space-saving alternatives to growing vegetables in a traditional garden. Earth Buckets require little attention, just water every couple of days and a few square feet of space in a sunlit area. The self-contained Earth Bucket provides all the water and nutrients your tomato plant needs to thrive.